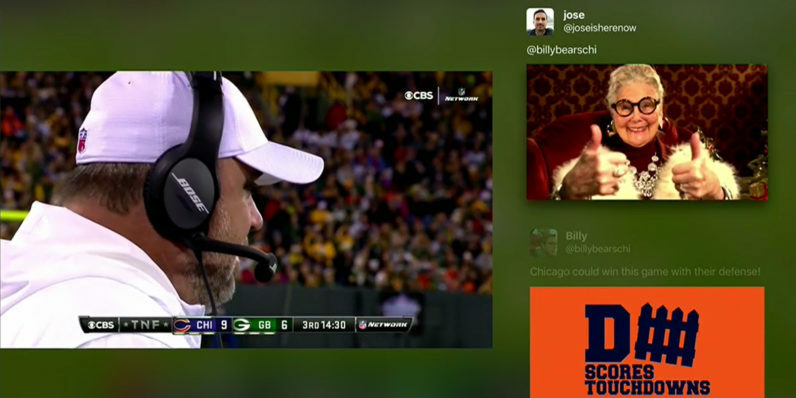 At its keynote in Cupertino today, Twitter product manager Ryan Troy announced that Apple TV users will now be able to view their Twitter timelines, as well as reactions to live sports and news broadcasts all on one screen. Troy noted that NFL, BuzzFeed and Bloomberg are partnering to bring content to the platform. In addition to checking out tweets in real-time, you can also send select tweets to your iPhone to join the conversation.